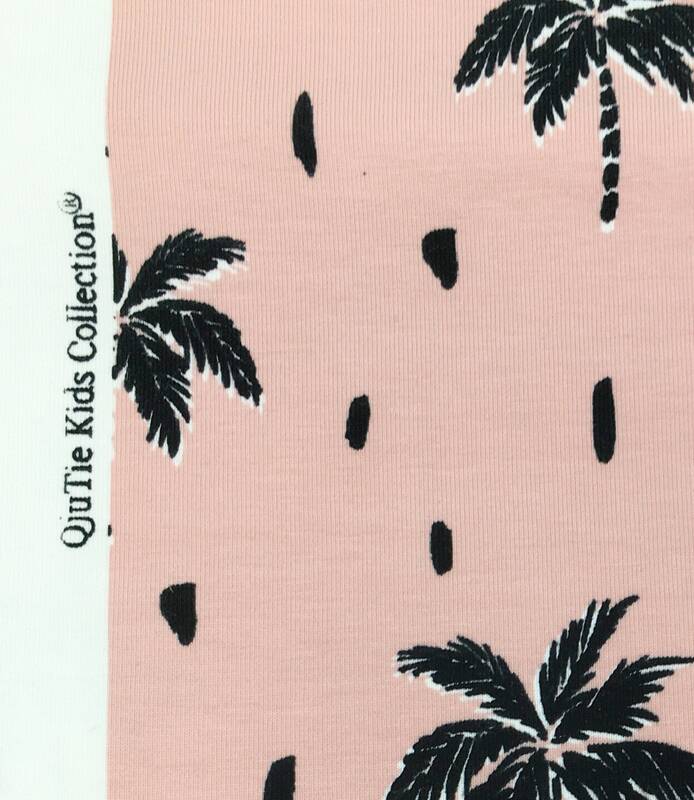 Qju tie kids collection peachy/pink, white and black palm print cotton elastane jersey. 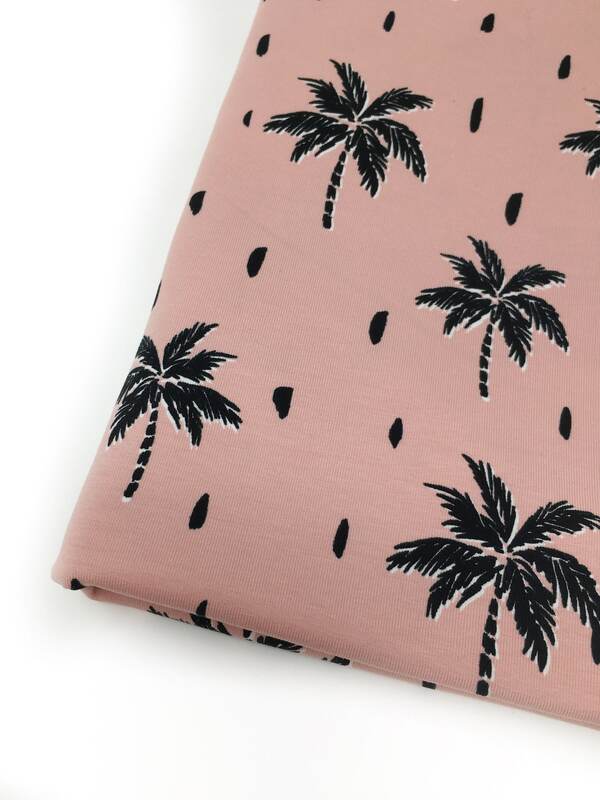 This striking tropical print stretch jersey fabric is available by the metre but please message if you would like another length as a custom order is possible. 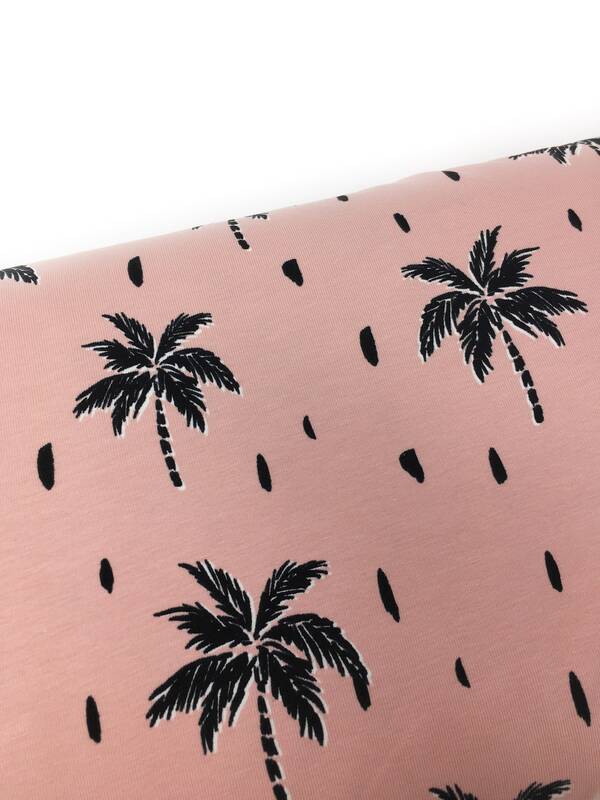 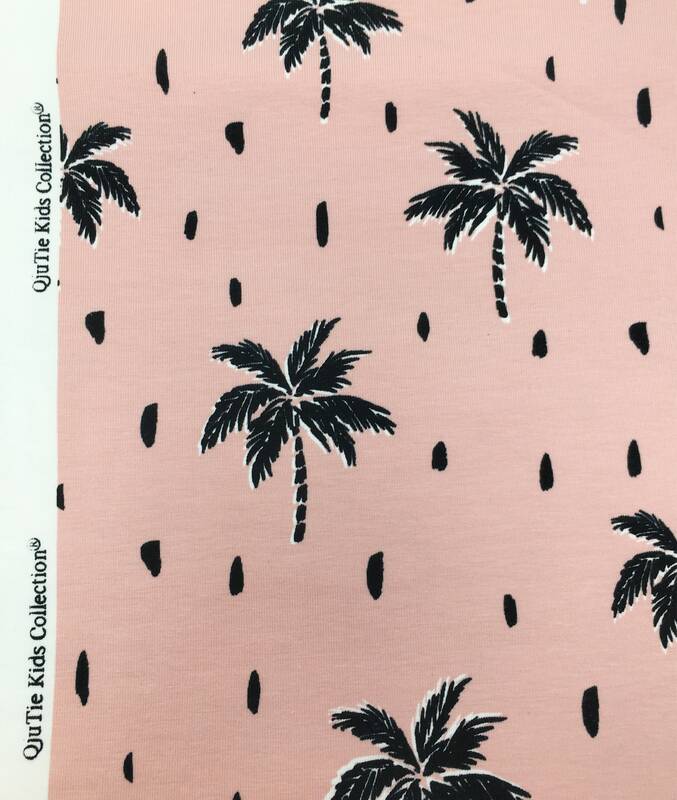 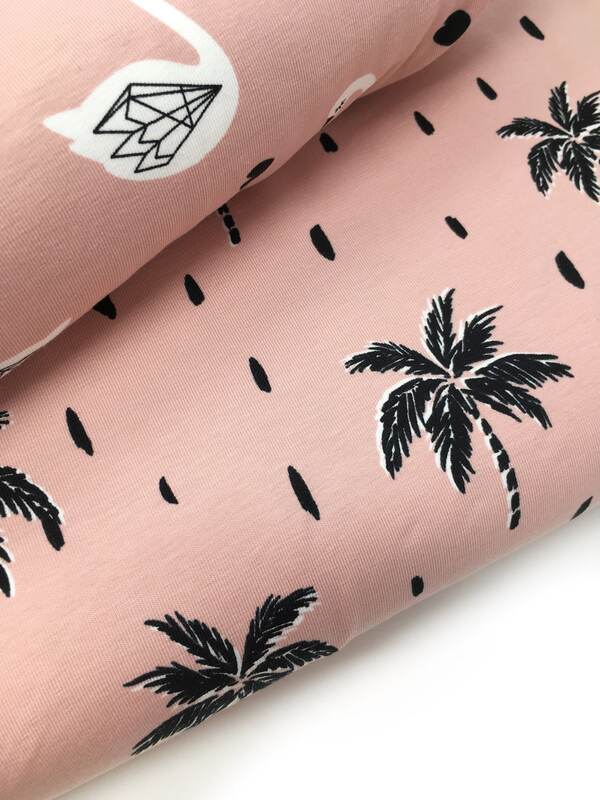 Each palm tree is printed in black with a white edging and measures approx. 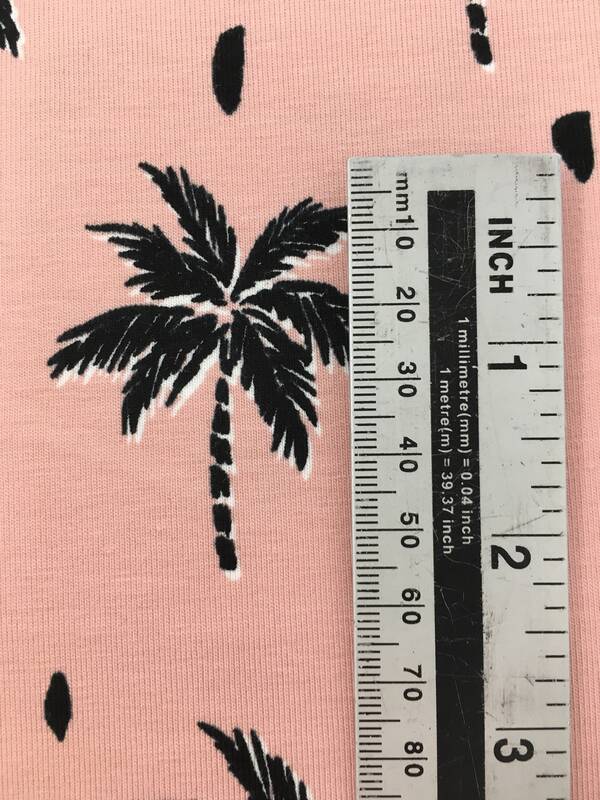 55mm tall. 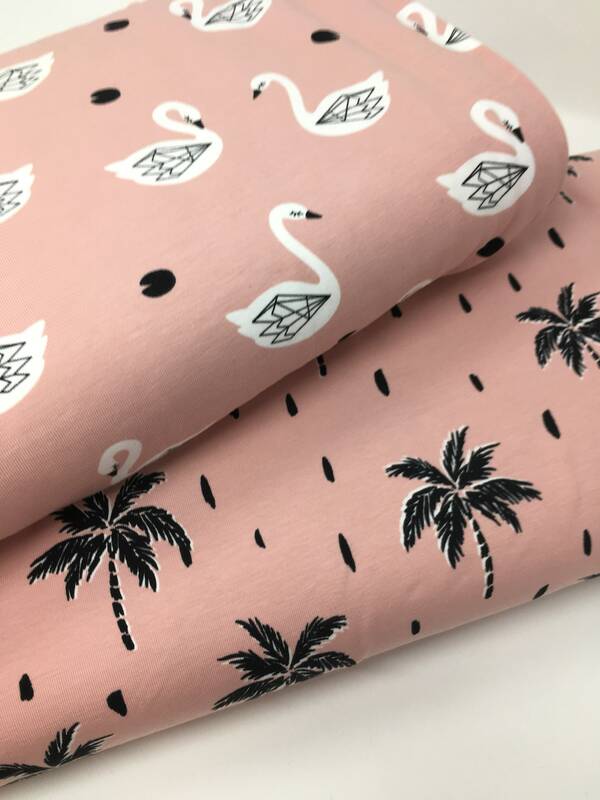 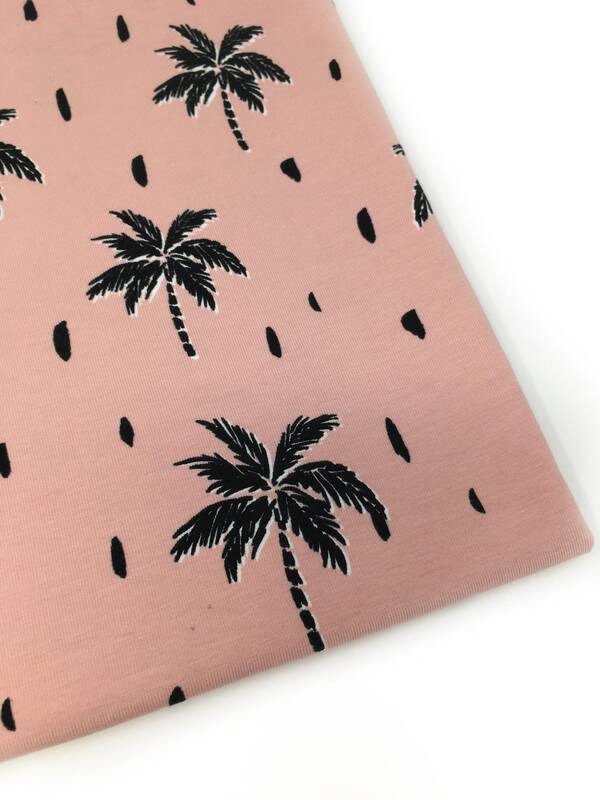 This peachy/ pink ground jersey measures 145cm wide and weighs approximately 200 gsm. 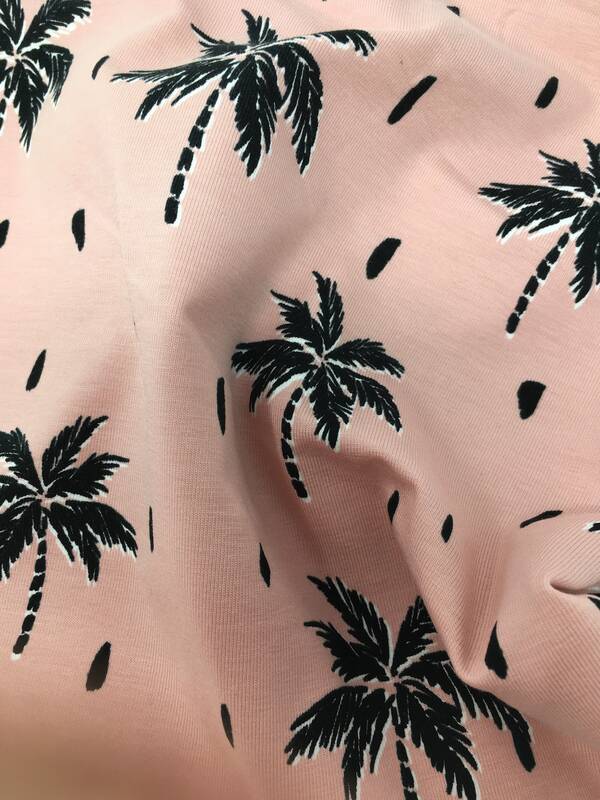 This fabric has a lovely soft hand feel and a great drape. 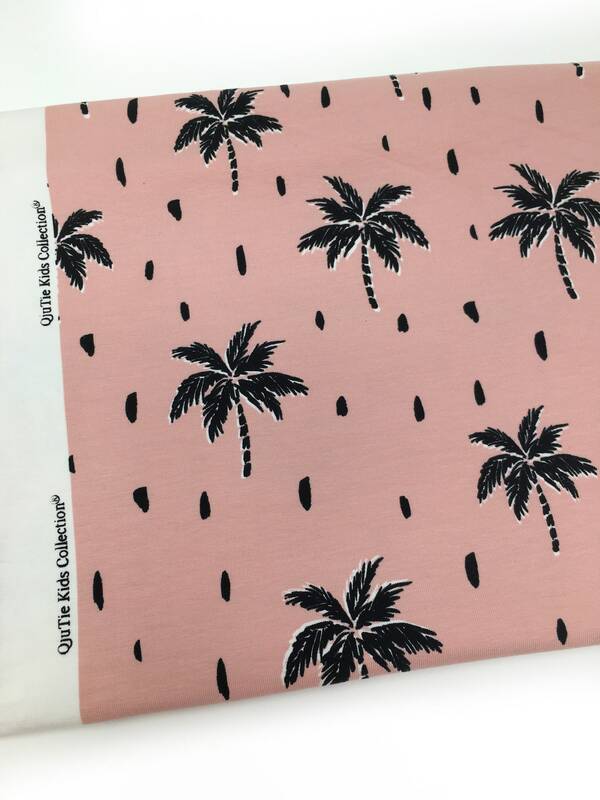 The 95% cotton 5% elastane composition means this fabric is perfect for dress making projects like leggings, tees and dresses.